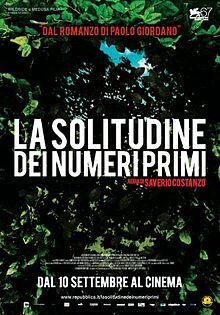 The Solitude of Prime Numbers follows the lives of two characters, Mattia and Alice, through significant times in their lives. Both have childhood trauma and both have remained friends for a long time. I feel like I cannot explain much of the plot because I am somewhat confused about it. But, like several other films I have seen in MIFF, I don’t need to understand it to like it. The characters are generally quite unlikable. The two main characters are awkward and, at times, self-destructive. The families are horrible and I don’t want to get started on the other kids at school. The stories are not well explained, and when the traumas are revealed, it is in a very melodramatic and over-the-top fashion that would normally have me yelling at the screen ‘I get it! Move on!’ but instead I was compelled to keep watching. I think what kept me going was the story. I knew that these two were damaged and I learnt how, and I wanted to see them get past it somehow, whilst knowing that they possibly wouldn’t. In the MIFF guide, it mentions that this film is an adaptation of a best-selling novel of the same name, and I am inspired to track this down and read it.